The band also announced a compilation album. In celebration of the band’s 20th anniversary, Taking Back Sunday will embark on a worldwide tour. Taking Back Sunday will play a selection of full-length albums while on the tour, including their debut, Tell All Your Friends. Accompanying Tell All Your Friends, Taking Back Sunday will also either play Where You Want To Be or Louder Now in their entirety. The band will flip a special coin to decide which album to play on corresponding dates, just to keep things a bit interesting. However, this will only happen when they are playing in the same place twice. If the band is only playing in a city for one night, they will play Tell All Your Friends and miscellaneous fan favorites. In addition to a world tour, Taking Back Sunday will release a compilation album titled Twenty. The album will be retrospective of the band’s career and feature tracks from seven of the band’s full-length albums. Twenty will be available Jan. 20. You can pre-order the album on Oct. 30. Excited to announce a Celebration of our 20 Year Anniversary with a career retrospective album “Twenty” and 2019 World Tour! 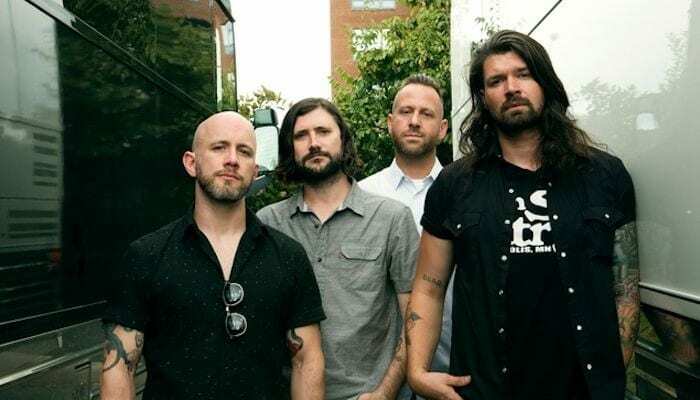 Watch Taking Back Sunday’s tour trailer below. You can see a list of dates for the first leg of the tour below and pick up your tickets here. Presale for the South American leg starts today, Oct. 9. Presale for Australia begins Oct. 12, followed by North America on Oct. 19. Will you be seeing Taking Back Sunday on their 20th anniversary tour? Let us know in the comments below!